Death is an unpleasant truth that you’re going to have to face. You can deal with it now through the word of Christ, who says you’re already dead anyway, but that he has come to give you new life. Or, you can refuse to hear him, and die without hope. If you continue to do the latter, every other pursuit in life will lead to this same end: death. Thanks be to God through our Lord Jesus Christ; you have a Savior who is bigger than death. He has absorbed on the cross all your stubborn refusals to hear him, forgives you, and breathes new life into you. When all is said and done, when all the things of this life that your sinful self has tried desperately to cling to have passed away, he’s going to call that new life forth from the grave and welcome you into a new world. In the meantime, pick up that cross, dead man or dead woman. Quit worrying about “you.” You are taken care of. Turn your attention to the needs of those around you. And when you mess that up, return to his cross, that he picked up for you. Prayer: Lord Jesus, thank you that in you we have eternal life. Amen. 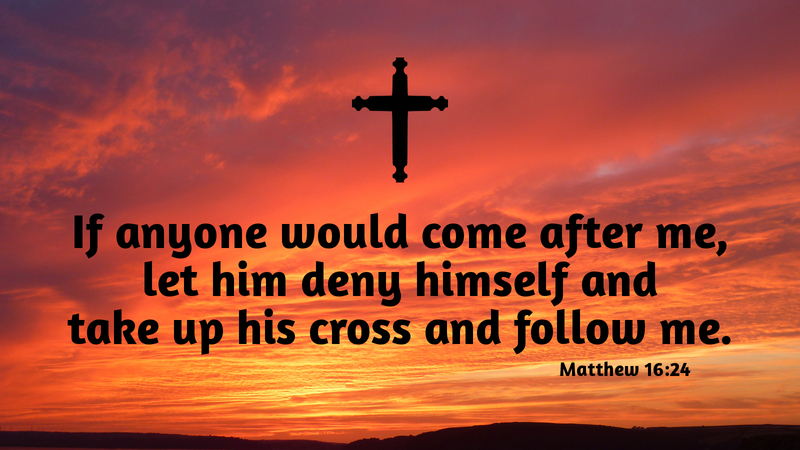 Today’s devotion was written by Scott Smith, Pastor of St. Matthew Lutheran Church, Logan, OH.